Minnie Mouse is delightfully dressed for the holidays in this charming personality pose from the artistry of Jim Shore. Handcrafted in dazzling detail, this smaller size design adds a colorful touch of Disney good cheer to any Christmas display. 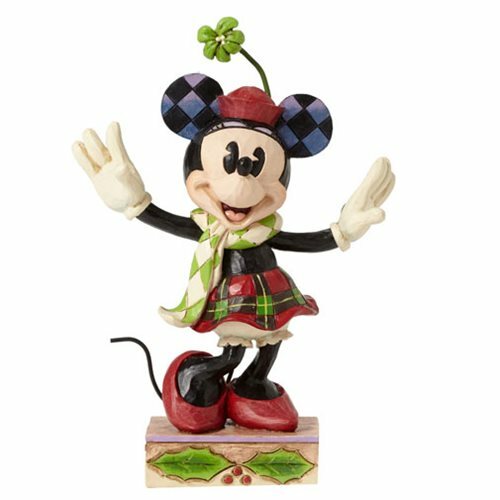 The Disney Traditions Minnie Mouse Holiday Statue is made of stone resin. Measures about 4 4/5-inches tall x 3 1/4-inches long x 1 1/4-inches wide. Ages 13 and up.